Increase Safety, Save Money & Streamline Your Panel! The FlexAlert Multifunction Annunciator is an all-in-one multifunction display that places critical warning and condition annunciations directly in front of the pilot to increase safety and simplify panel layouts. 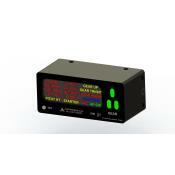 The sunlight-readable & dimmable LED display includes Landing Gear Status for both land and seaplanes as well as warnings for Engine, Oil Pressure, Fuel Pressure, Low Fuel, Pitot Heat, Low Voltage, Over Voltage, Alternator Failure, Doors, Starter Engaged, Vacuum Failure and Autopilot Glideslope Capture. The FlexAlert Multifunction Annunciator can save you over $1,000 compared to individual or customized annunciators and the LED technology is significantly brighter and more reliable than incandescent lamps. The unit does not include sensors for the annunciations. 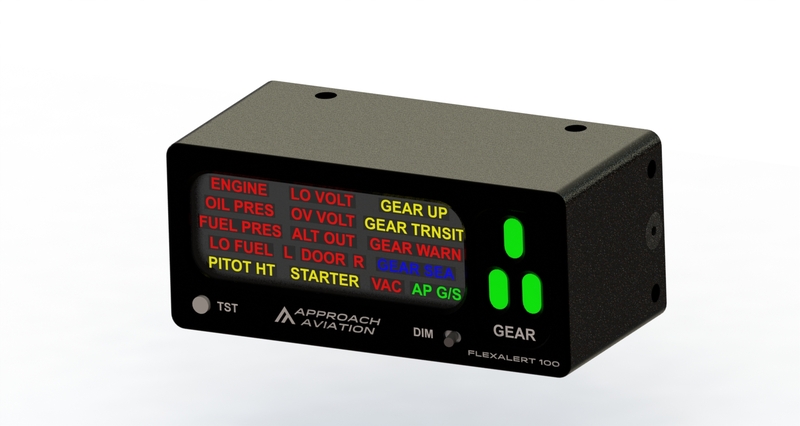 The FlexAlert Multifunction Annunciator is configurable out-of-the-box for both retractable and fixed-gear aircraft and can operate on 14V or 28V aircraft systems with no modifications. It is certified for installation in Part 23 aircraft as a minor alteration when used for supplemental purposes. Kit includes flush panel mounting bracket options for top/bottom supports as well as left/right supports.